Charlotte has been creating celebrity contours ever since she worked with the Supermodels of the 90s, carving out mega-watt cheekbones through clever lighting and shading tricks. So many people fear contouring, but with these Hollywood Contour Wands that are lightweight, easy to blend and buildable, everyone can achieve the most beautiful, Hollywood version of you. Great formula, but not enough product. I bought this along with the hollywood highlighter, and both tubes came half empty. They're just filled with a bunch of air, I really have to squeeze for anything to come out. The product definitely spreads and blends out nicely. The applicator I really like as well as the formula. But why is there so much air in this tube? The packaging is a little smaller than expected, the application tip is a little odd at first (only squeeze a little, and softly to get it out), and the color seems dark (light looks SUPER dark out of the tube and applied), but once applied and blended out, this is hands down the best cream contour I've ever used. It blends out like a dream and lasts ALL day. The only thing this wand is even similar to is the Nxy contour stick, but the product is more like the condensed ABH cream contour kit. It's very a unique product, with nothing like it on the market. Highly recommend, and it will def last awhile, even if you need to contour a lot. If you're on the fence, go for it, you wont go back to any other contour use. The only con I would say is, it may be a little hard to contour the nose, as the tip is a little wide. This product is amazing! I’m so impressed by this I had 2 leave a review!! I’m super picky about contour shades/bronzer it takes a lot to impress me! shade wise and formula. My normal go to is OCC John Doe for a reference. This is deff a new fave I love this equally as much as the JOHN Doe. This is a liquid consistency. It may seem a bit strong n color but that all changes once u blend! You can use a brush or beauty sponge with this. I prefer my Beauty blender with this. It will give the most seamless blend used 2gether. Also it won’t spread the product where u don’t want it. It’s the best way to apply imop,) This product is one of those types that it doesn’t look like harsh makeup or aquard on the face. It really looks like a natural bronze/contour. The formula is great I haven’t tried anything else that performs like this. I will be re buying over and over! The tube/packaging is fine. Some won’t like it some will. It personally doesn’t bother me. Just make sure after u squeeze the product out twist it in off position. Also I store it up side down. A lil goes a long way it will last long. It can most deff be built up with no issues and never look heavy! I think all skin types could use this. It sets it’s not oily or slippery at all. I’m normal/dry skin and this doesn’t emphasize any dry spots etc. this product is perfect. If ur on the fence go for it. You’ll love it. Don't judge it by a swatch because it looks like it'll be a patchy mess-but it blends very well on the checks, I like using a beauty blender or a smaller buffing brush, a little goes a long way, make sure to turn the applicator back to the "off" position or the product will explode out, overall I'm happy with it. I have struggled applying this, because when I go to blend it moves my foundation. I've tried applying it with fingers, a beauty blender, various brushes. The trouble is it sets immediately so to blend it you try working very quickly, but with no work time you buff out your foundation underneath, or with a beauty blender you pounce dots of product and have to really get in there to smooth it out, thus disruping makeup underneath. I wish it had worked for me. I do like that it sets, but perhaps the trade off for setting down quickly creates it's own challenges. If someone has suggestions I'd really like to hear them. This is just an amazing product! Easy to blend and gives amazing contour shade to my cheeks. THE ONLY negative is the amount of product. Annoyingly because it is so good I will continue to buy it but I believe you should get far more product for your money. I have very fair skin; in nearly every foundation line, I wear the lightest or second-lightest color. This blended away to absolutely nothing on me. I tried building it up, blending it with a sponge, a brush, and the applicator on the product itself, and nothing worked. I am no stranger to cream contour, as my favorite contour of all time is Becca's Lowlight Sculpting Perfector. This one does nothing. I've always been afraid of cream contour because I thought it wouldn't blend without a struggle. Decided to give this one a shot and I'm so glad I did. It blends so easily, and it's not too dark. My only complaint is that you don't get a lot for what you pay for, so I will be using this sparingly. 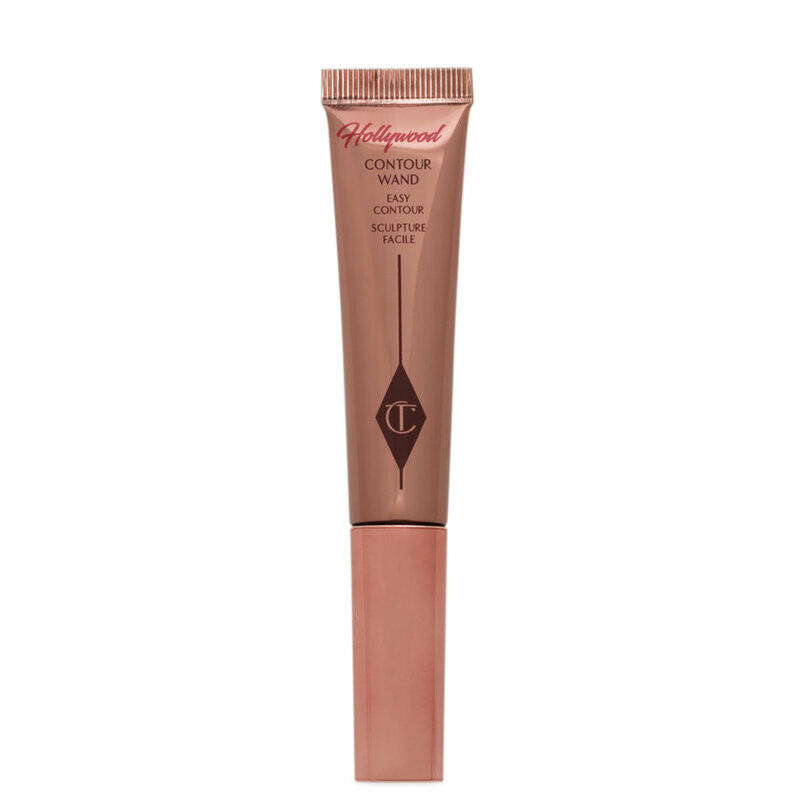 Love this contour it is easy to blend out, the colour is perfect and I honestly like the applicator even though I have read that most people hate it. Only negative is that you do not get a lot of product, But you can not deny it's definitely a 5 star product. I will buy again.